Obviously, condensed milk and sugar is a big no-no on Keto, which is what gives the shake its sweet taste and silky texture. Luckily, the avocado is such a versatile fruit. Packed with fiber, vitamins and healthy fats, you don’t have to give up such a rich treat while going on a low carb diet! 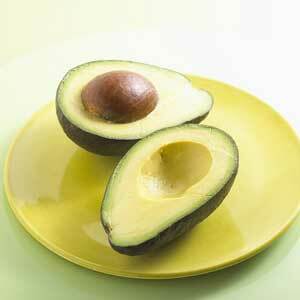 With such a rich texture, the avocado can thicken up just about any liquid, making ideal for smoothies. 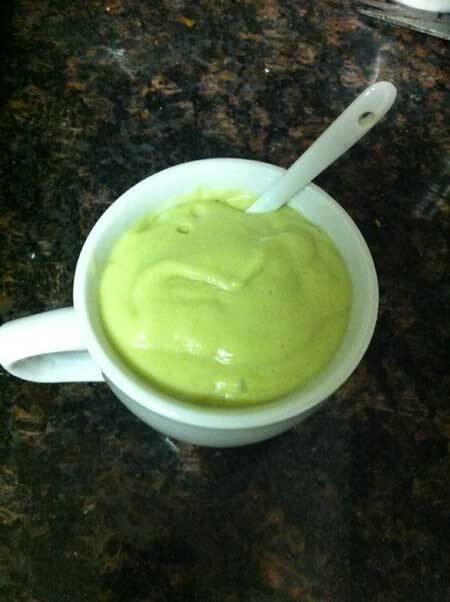 Here’s a quick and easy low carb avocado smoothie recipe that I whip up when I need a cold treat! There you have yourself a simple, keto-friendly avocado smoothie! This always hits the spot for me when I’m craving a thick milkshake. Sure, it doesn’t have scoops of ice cream in it, but it’s a nice, clean treat that is low in carbs as well! Cravings can be tempting, but occasionally treating yourself to these alternative cheat meals is one way to curb them. Feel free to reduce the almond milk if you prefer a thicker shake, or add more sweetener if you really want to hit those cravings. You can also substitute out almond milk for your preferred choice of low carb alternative to milk. This smoothie is best served immediately. Avocados tend to brown rather quickly due to the oxidation. It’ll still be safe to drink, but I find that the browning does alter the taste a bit. If you have trouble with dairy, feel free to leave out the cream. I prefer adding a splash into my smoothies to give it an even richer texture. If you’re unfamiliar with avocados, there are some simple tricks to determining whether the avocado is ripe or not. You can check by squeezing the avocado gently, if you can press into it lightly, it’s ripe. An unripe avocado will be very firm, and difficult to squeeze. You can also try removing the stem to check the color underneath it. If it’s green it’s good to go. If you have trouble removing it, chances are it’s not ready yet. On the topic of sweeteners, splenda or stevia is fine. Be aware that granulated sweeteners do contain bulking agents that add a bit to your carb count. I would recommend using powdered sucralose (without the bulking agent) or a liquid sweetener (such as EZ-Sweet) to minimize your carbs. If you want to learn more about artificial sweeteners and their compatibility with keto diets, feel free to read more. I hope you enjoyed this simple and quick recipe. It was definitely one of my favorite treats back when I was growing up, and I’m ecstatic that I can still indulge in while on Keto! I’m going to try this. 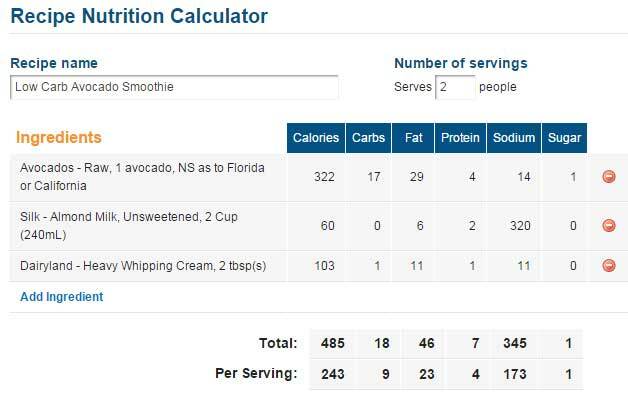 But, if an avocado has 3 net carbs, is the net carb total for the whole thing really 18? I’m calculating it to be 8 (4 per serving) because there is 1 in each serving of almond milk and 3 in each serving of avocado. What say ye? Hey Colleen! Sorry if it’s a little confusing, myfitnesspal isn’t displaying fiber for some reason in these tables. For the whole thing there’s only 4 net carbs total (18g – 14g of fiber). It’ll vary a little bit though depending on the brand of almond milk and type of sweetener you choose (granulated sweeteners have about 1g of carbs per packet whereas powdered/liquid sweeteners don’t). I found that with these amounts though, I could make 2 servings so I just divided it in half to get the nutritional value for one serving, which came out to approximately 2g net carbs for one cup. Feel free to let me know if there’s anything else you’d like to know or clear up!